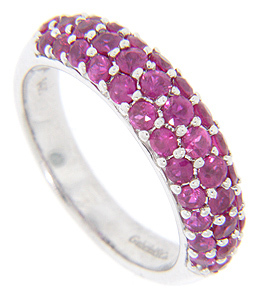 This modern wedding band is crowned with a triple row of vibrant red rubies. 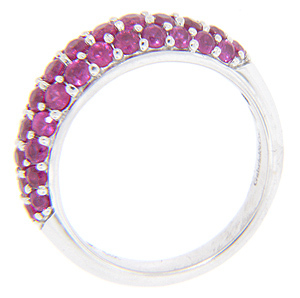 The stones are tightly set together giving an impression of a swath of rubies. The wedding ring measures 5.5mm in width. Size: 6 1/2. We can re-size.